Carlos Santana’s instrument is the guitar, Ian Anderson’s the flute, and Robert Plant’s the microphone. 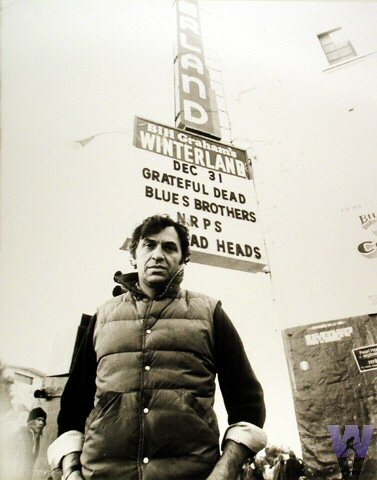 Bill Graham’s was the telephone. Graham would curse, cajole and complain to get his way with the acts playing his venues, and in the recently unearthed 1972 documentary “Fillmore,” he’s in high dudgeon. Sure, there’s plenty of good music in this chronicle of the last week of shows at Graham’s first big hall, the Fillmore West in San Francisco (his Fillmore East in New York closed around the same time, but wasn’t filmed). But more memorable than Hot Tuna performing “Uncle Sam Blues” or the Grateful Dead tearing up “Johnny B. Goode” is the sight of Graham arguing with a disgruntled musician, threatening to rip his teeth out and chasing him down a flight of stairs. More than any other promoter, Graham put a personal stamp on the shows he booked. He’d pair a Russian poet with the Jefferson Airplane, or put Lenny Bruce and Frank Zappa on the same bill. Graham fed his patrons breakfast after marathon New Year’s Eve shows, or let them in early to watch Max Fleisher cartoons pre-show when the weather outside was cold. He orchestrated perhaps the most elaborate rock concert spectacle in history, the Band’s “Last Waltz” in 1976, featuring a who’s who of the music business paired with a turkey dinner. Graham was a driving force in the world of live music, pioneering the first large-scale stadium shows in the early 1970s, managing massive tours for the Rolling Stones, staging Live Aid and the US Festival in the early 1980s. He died in a 1991 helicopter crash, flying home from the Concord Pavilion, one of many venues he bought or built on his way to becoming as important to the business as the bands he presented. “Fillmore” is really about the end of the (somewhat) innocent trade in which Graham honed his craft, and the beginning of the concert business that dominated the rest of the 20th century. 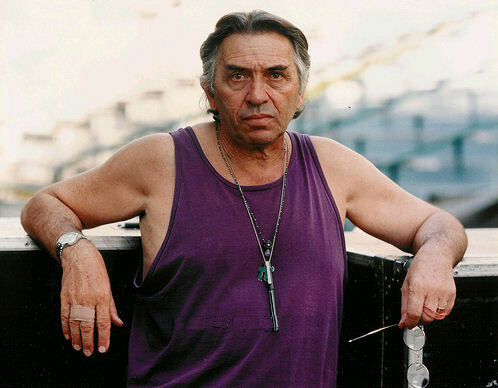 That industry, both good and bad, was in many ways the creation of Bill Graham – Holocaust survivor, would-be actor and fire-breathing impresario. Santana is in prime form just months after the release of “Abraxas,” and their reading of Miles Davis’s “In A Silent Way” is one of the film’s high points. Quicksilver Messenger Service, a band that never quite broke out of the San Francisco scene, is also superb. Ultimately, that’s the problem with “Fillmore” – it’s mostly about Graham. Key performances are missing from the film (some appeared on the soundtrack album) – Creedence Clearwater Revival, Tower of Power, New Riders of the Purple Sage. Cold Blood, Elvin Bishop and the execrable Lamb are all make it into “Fillmore,” however. Coincidentally, they were also on Graham’s short-lived record label. “F**k you and thanks for the memories,” says Wilhelm finally, prompting the chase down the stairs and a promise form Graham to not be so nice when the cameras aren’t rolling. One gets them impression, though, that none of it would have happened if it wasn’t being filmed. A final complaint – reissues should add content, not subtract. For some inexplicable reason, Boz Scaggs, who did a sublime version of “I’ll Be Long Gone” in the theatrical release, is left off of the Rhino DVD version. Further, there’s nary a shred of extra content, just a well-written (albeit short) essay from ex-Rolling Stone editor Ben Fong-Torres. Who knows, maybe all the outtakes were lost when a neo-Nazi burned down Graham’s headquarters in the mid-80’s. Maybe Rhino’s hoarding everything for a 2011 40th Anniversary Deluxe Edition. Still, “Fillmore” is a documentary every music fan should see, even if it’s not as perfect as it could have been.